Found this great free-form embroidery sampler by Disobedient Child on Flickr. Much more interesting than doing lines of stitches. I really should do more practice work - I have pretty much jumped straight into doing projects on my Teach Yourself Embroidery Quest. Another inspiration. 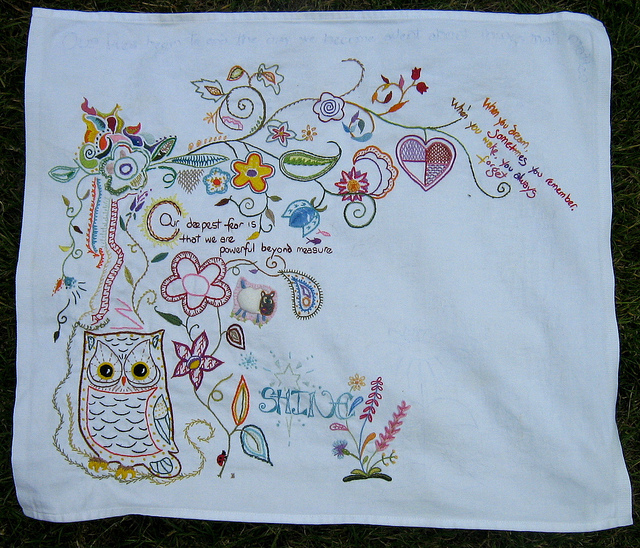 WIP Embroidery sampler | Flickr - Photo Sharing!.